Kyle Larson is in the midst of separation anxiety. For the majority of the year, Kyle Larson is glued to a racing seat. Whether it’s NASCAR or a dirt sprint car, he’s busy. Bedlands Speedway is a premier dirt track facility located in Brandon, South Dakota. It’s a .375 mile high banked dirt track oval built on 80 acres of beautiful South Dakota real estate. The track first opened in 1954. EAGLE, NE — June 14, 2017— After leading 29 of the 30-lap Feature, Daryn Pittman couldn’t withstand the late-race charge from Kyle Larson and Shane Stewart. 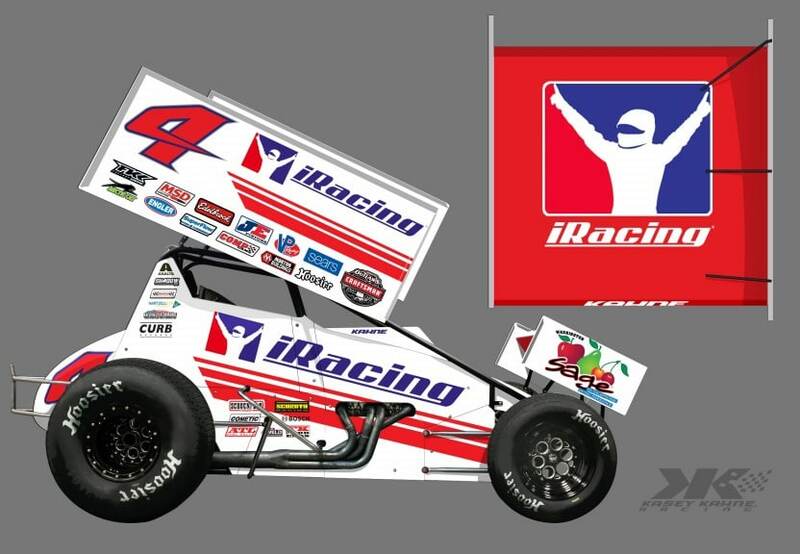 Kasey Kahne iRacing dirt sprint car sponsorship deal signed. See photos of the iRacing sprint car below. iRacing.com today announced a sponsorship agreement with Kasey Kahne Racing for the 2017 World of Outlaws Craftsman Sprint Car Series. The popular online motorsports simulation service will be the primary sponsor of the #4 Sprint Car that Kahne plans to run in selected events this season. iRacing World of Outlaws deal signed. The deal with the World Racing Group and iRacing will bring the World of Outlaws to online sports. A new iRacing World of Outlaws dirt video has also been released. The next generation of Haudenschild Racing to take on The World of Outlaws: Sheldon Haudenschild will enter his rookie season in 2017. The legacy continues, as the son of Jac Haudenschild enter the World of Outlaws tour. INDIANAPOLIS (Feb. 2, 2017) – For the past 20 years, Donny Schatz has attacked the terrain of dirt tracks all across the United States in his quest to become the best Sprint car racer in the world. World Racing Group (WRG) and Racing with Jesus Ministries have partnered together to provide Chaplain services to the sanctioning body’s nationally touring series. CONCORD, N.C. — Dec. 30, 2016 — Amidst all the race day hoopla, drivers, team members and officials found peace in one place at Thompson (Conn.) Speedway. View the Brad Sweet 2017 dirt sprint car here. The NAPA Auto Parts Spint Car will hit the track next season as company joins Kasey Kahne Racing as primary sponsor of Brad Sweet.